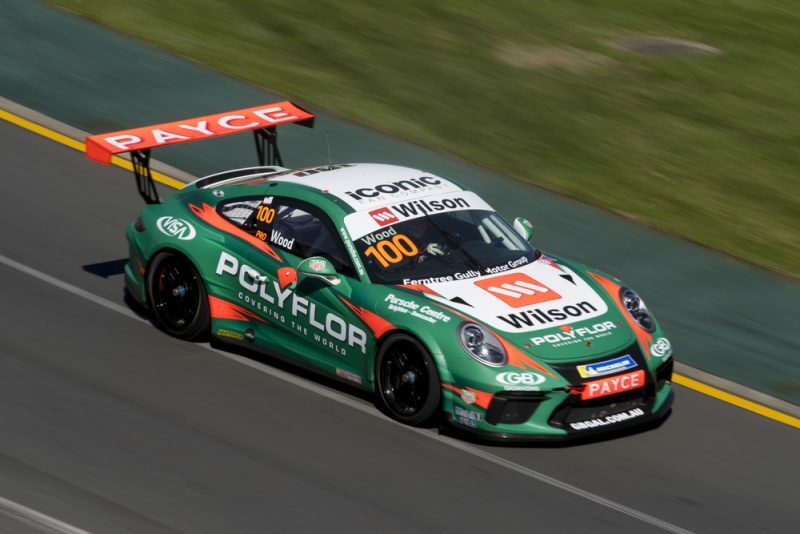 Dale Wood made it two from after leading from lights to flag in the second Carrera Cup race at Albert Park. Wood was faultless in the shortened race, as he finished ahead of Jaxon Evans for the second time in as many days. Defending series champion David Wall was third in the tightly compacted field, finishing under a second behind the race winner. In what was set to be a 10 lap race, Wood led off the line with the top three securing their positions at the first turn. Behind the leading pack, Dylan O’Keeffe was turned around at Turn 2 but it was deeper in the field where the fireworks were set off. 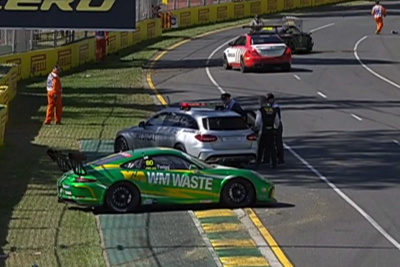 The Safety Car was called before the completion of the first lap, with Tag Heuer Pro-Am drivers Max Twigg and John Steffensen both in the fence at Turn 5. 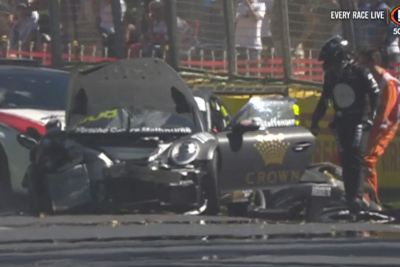 Twigg appeared to run wide before hitting the wall, while former track and field athlete Steffensen was left with major damage after he crashed when taking evasive action. Fellow Pro-Am driver Peter Major toured the track slowly with significant damage after the field bunched up behind the Steffensen and Twigg accident before retiring. Wood maintained the advantage on the restart while James Moffat moved past Jordan Love for fourth. Evans continued to shadow Wood throughout the rest of the race, but the former Supercars racer held his nerve to take his second win of the weekend. In a confusing conclusion to the end of the race, timing screens indicated the race ended after seven laps but with no chequered flag in sight, the racing continued for one more lap. Haivng been issued a post-race penalty which relegated him to 16th in Race 1, Alex Davison drove back to finish in fifth place ahead of Michael Almond. Pole-sitter Nick McBride worked his way through the field following an error in Thursday’s race to finish ninth overall. Tim Miles finished highest in the Pro-Am class in 10th outright, while Marc Cini returned to the track after his ride day mishap to finish 18th. Carrera Cup Australia returns to the track at 1520 local time/AEDT on Saturday.